Springfield, MO. (April 22, 2016) - Tickets are now available for Artsfest on Walnut Street, the largest fine arts festival in Southwest Missouri. Advance tickets are on sale for $3 at Springfield McDonald’s restaurants from April 21 to May 6, 2016. Tickets at the gate are $5 and children 5 and under are free. The annual event will take place on Saturday, May 7, 10am to 6pm and Sunday, May 8, 2016, 10am to 5pm. Celebrating 36 years of art, food, and spring-time with 20,000 people attending annually, this year’s festival features 140 artists from 21 states, 75 performance groups on five stages, local food, and more. In addition to vendors, Artsfest also features an interactive kid’s area with activities for children including Chalk-It-Up and Springfield Pottery’s Claymobile, a mobile ceramic arts workshop. For more information on the festival, including a full list of artists and performers, visit www.SpringfieldArtsfest.org. 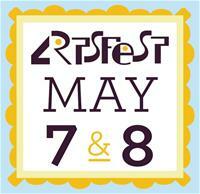 Artsfest is a Springfield Regional Arts Council event and is managed by the Downtown Springfield Association. The event is underwritten by several generous local sponsors including: Great Southern Bank, Springfield Metro McDonald’s, University Plaza Hotel, Positronic Industries, Ozarks Coca-Cola/Dr Pepper Bottling Company, Ridewell Suspensions, E.W. Scripps, The Center for Plastic Surgery, Connell Insurance, Central Bank, DeLong Plumbing, Springfield Art Museum, Westrock Orthodontics, Hood Rich, Inc., Kum & Go, AT&T, Petsway, Bryan Properties, Mother's Brewing Company, Springfield News-Leader, and SS&B. For more information about Artsfest on Walnut Street, call 417-831-6200 or visit www.springfieldartsfest.org.